The award recognizes Professor Atienza’s extensive work on smart wearables for the Internet-of-Things (IoT), particularly in the medical domain. He has been working in this arena since 2010 to develop specialized multiprocessor designs and microprocessor controllers. These tools can be used to target electrocardiogram analysis and embed advanced features in the sensors to help doctors analyze data remotely. The system functions autonomously and maintains uninterrupted communication between the patient and the doctor. In a related research published earlier this year in IEEE Journal of Biomedical and Health Informatics, Professor Atienza and colleagues developed a simple, modular, and effective algorithm to delineate and locate the peaks and boundaries of different ECG waves. 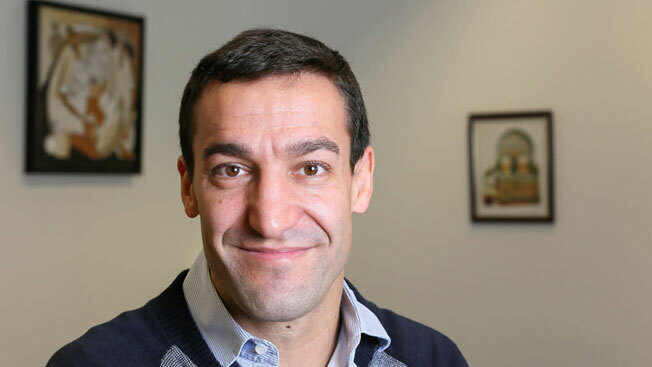 In an earlier milestone, Professor Atienza won the IEEE CEDA Early Career Award in 2013 for his singular contributions to design methods and tools for multi-processor systems-on-chip (MPSoC), particularly for work on thermal-aware design, low-power architectures, and on-chip interconnects synthesis. He continues to work in these domains and has gained expertise in 2D/3D thermal modeling, electronic design automation (EDA), wireless body sensor networks (WBSN), memory optimizations, low-power hardware and software co-design. His work through the years has been acclaimed by renowned institutions and international conferences. These include the External Research Faculty Award of Oracle (2011), the ACM SIGDA Outstanding New Faculty Award (2012), numerous “Best Paper” awards, and—most recently—DAC’s Under-40 Award for innovative research on design and automation.